The recent show at Mann’s Apple Orchard on June 12th and 13th went well. This was the first time the Art Institute Group of the Merrimack Valley (AIG) has held a show in this venue. Saturday was warm and muggy, but that didn’t stop the scores of attendees. I set up on the front porch, adjacent to the tent that held just over 100 art works from the AIG artists. I continued working on a new painting of a Red-winged Blackbird I photographed along the Pow-Wow River in Kingston, NH. This painting is now 75% complete. There was a steady flow of patrons stopping by to chat, ask questions and admire all of the terrific art work shown by these talented artists. I had four paintings in various stages of progress, and was able to show folks all of the steps, from canvas preparation to finished painting, using the “story boards” with progressive photos of the work. 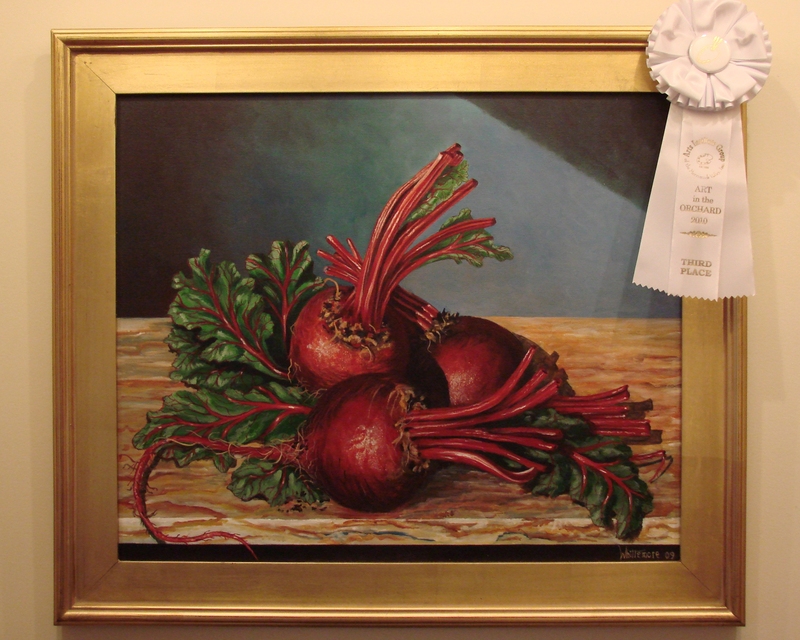 I won a third place ribbon for September Beets and received many wonderful comments about the painting Apples in Sunshine from the visitors. Jim Collins painted a pair of swans and won Best in Show and the Popular Vote for his beautiful work. Congratulations, Jim. Sunday was cool and damp with a slightly smaller attendance. The folks at Mann’s Apple Orchard provided a great venue, and were extremely helpful with the arrangements and support for the first Art in the Orchard show. Thanks to all for coming to the show. 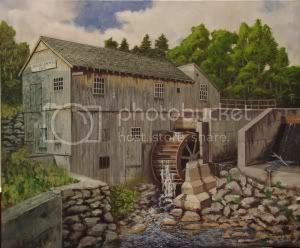 This entry was posted in Events, Paintings and tagged art show, Merrimack Valley, Painting. Bookmark the permalink.